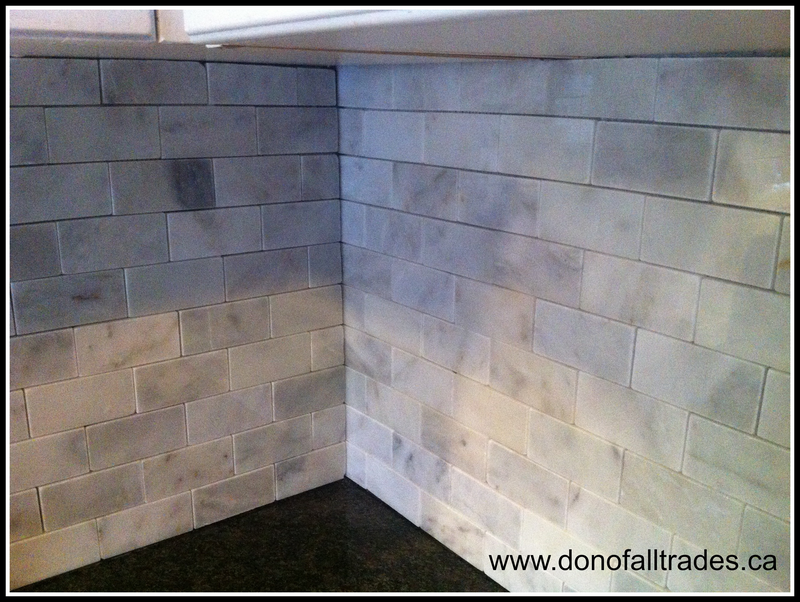 Visit our COMMUNITY PAGE AT http://www.donofalltrades.ca to find out how you can help! 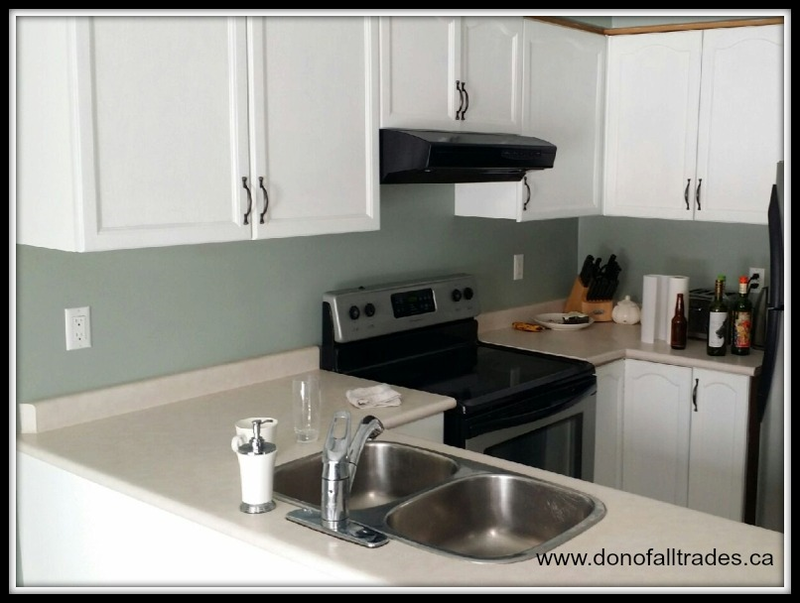 Over the past 5 months our team here at Don of all Trades Professional Home Maintenance Services have been working hard behind the scenes by doing good to help make a difference in our community through our Helping Hands Building Trees of Hope Program. 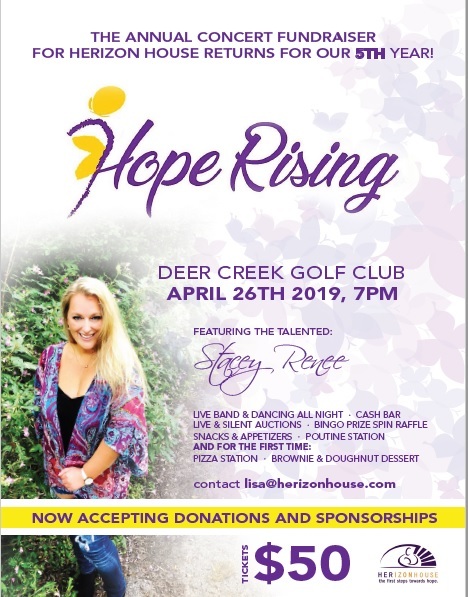 We appreciate the continued support we have received from friends, family members, clients and local businesses who have all donated a Helping Hand in order for our very special program to continue to grow over the last 3 years. We want everyone one to know that although we get many wonderful comments about how The Helping Hands Building Trees of Hope Program is inspiring to so many, we want everyone to know that this is a team effort from everyone in the community and because of all of you who have helped Don of All Trades help with our commitment to making our communities a better and safer place for women and their children through the wonderful efforts of Herizon House Women’s Shelter, WE THANK YOU! We look forward to continuing by doing good this year with more fun and exciting charity fundraiser events to give back to our community. PLEASE WELCOME OUR 2017 HELPING HANDS ON OUR THIRD TREE OF HOPE! Every donation received through our Helping Hands Building Trees of Hope Program benefiting Herizon House Women’s Shelter, adds a new Helping Hand to our Tree of Hope which we wish to complete by December 2017! 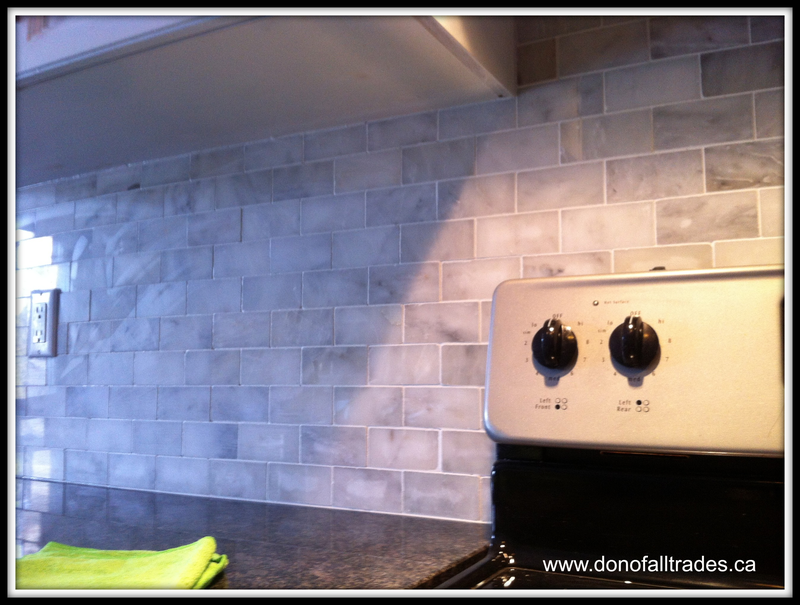 So what has Don of all Trades Professional Home Maintenance Services been up to lately? This lunch was dedicated to some very special women who have shown so much kindness, strength, courage, support, friendship, empowerment, generosity, love and dedication over the years at our team thought it would only be fitting to celebrate with in their honor at our second annual Don of all Trades International Women’s Day Lunch! 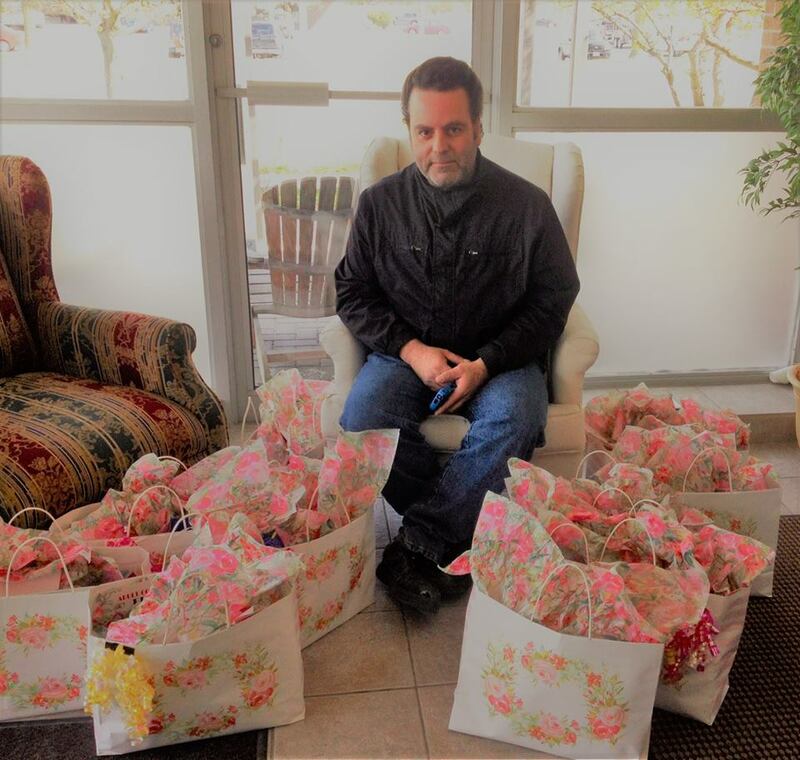 We received generous donations of non perishable food items, women’s gift sets, hand creams and various baby items that was donated to Herizon House. 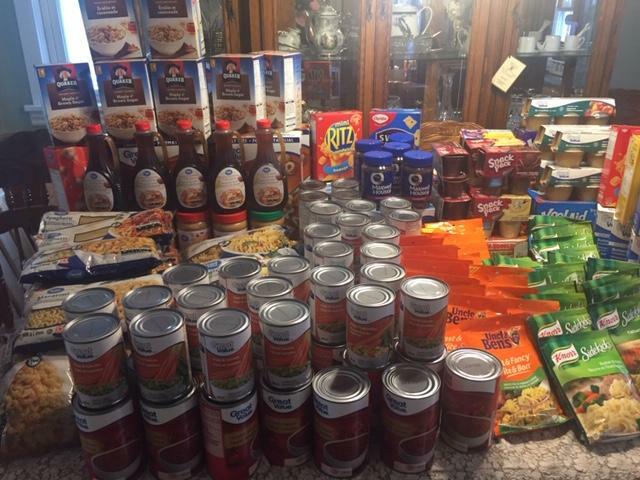 We helped donate over 147 items at this event to help the women and their children fleeing abuse and violence through the wonderful efforts of Herizon House. Wednesday May 10, 2017- Angels Who Gave from their Heart! 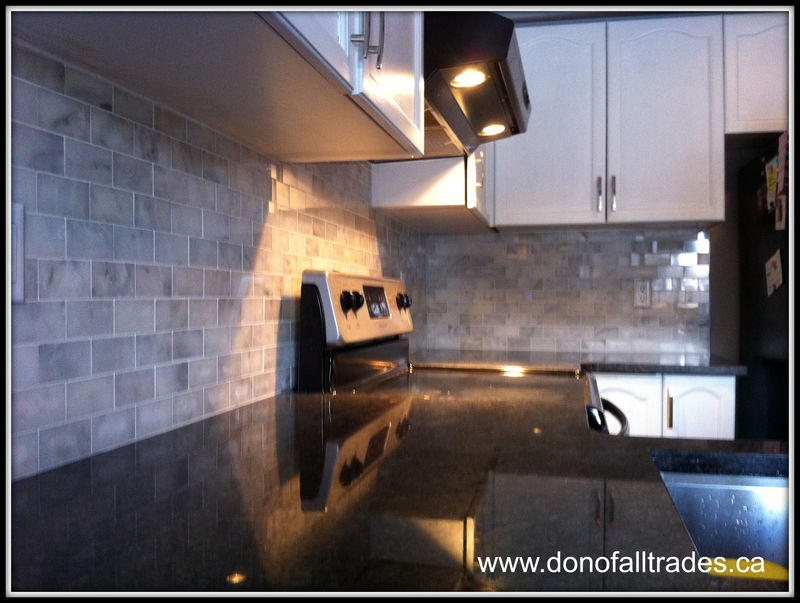 This past Mother’s Day, we reconnected our love for our moms and our respect for all women by assembling a very special project initiated by the Don of All Trades Professional Home Maintenance Services of Durham Region. Our team runs “The Helping Hands Building Trees of Hope Project”, a program that we created which turns donations into supports for women in abusive relationships. 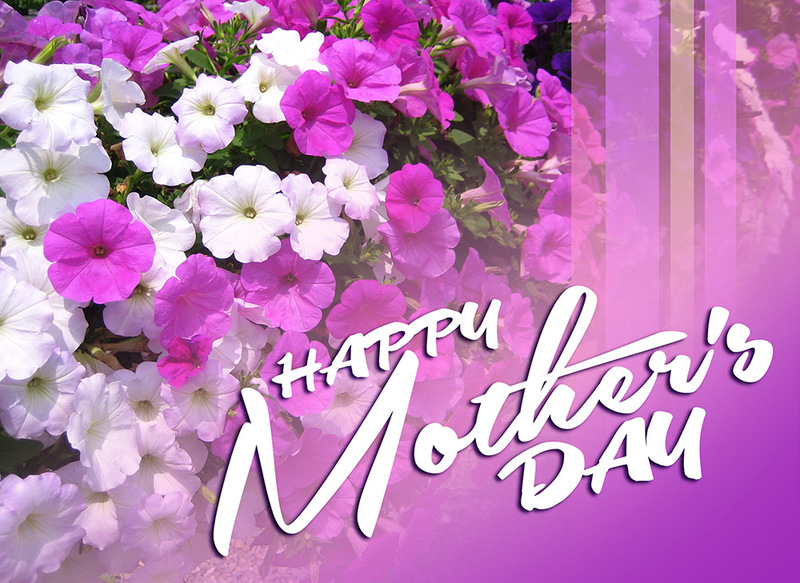 We felt that there was no better day this year to celebrate our moms by recognizing the value of all women and making a big difference for a victim of domestic violence. 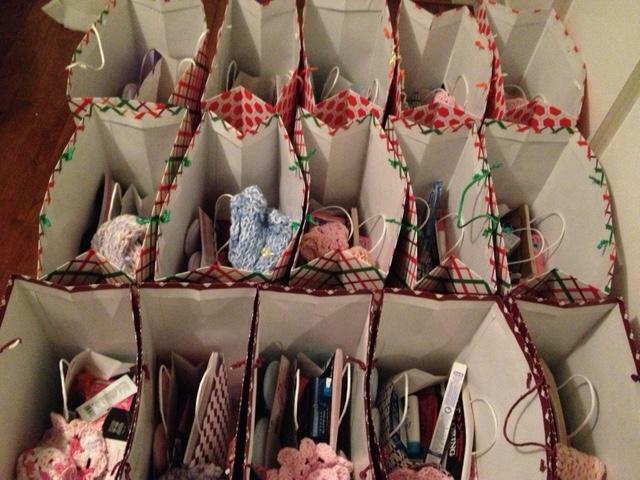 Photo: 11 very special and meaningful gift bags to help send a heartfelt message to women in shelters that there are people in the community that care and that there is always Hope. 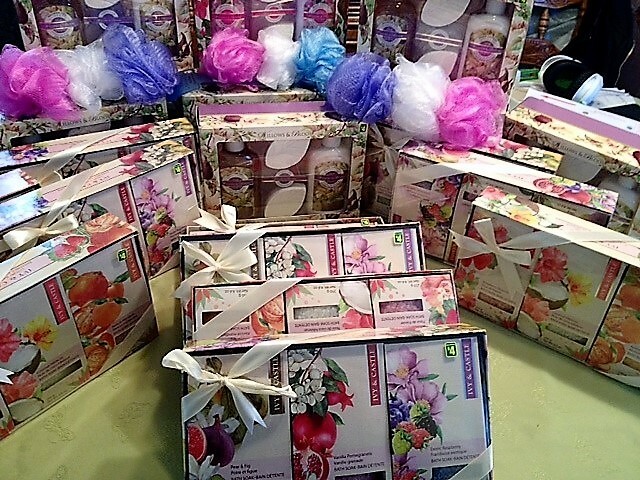 A total of 11 Mother’s Day Gift Bags would be donated with the help of some wonderful angels who gave from their heart. Special items that were donated to add to these very special and meaningful gift bags ranged from journals, adult coloring books, pencil crayons, chocolates, mini manicure sets, Loofah, Timmy’s Cards, wrap, bows, gift bags, hand creams, jewelry, bath salts, body care products, hand soaps, candles and coffee. Our collections started in early April and all bags were assembled, completed and donated on Wednesday, May 10. 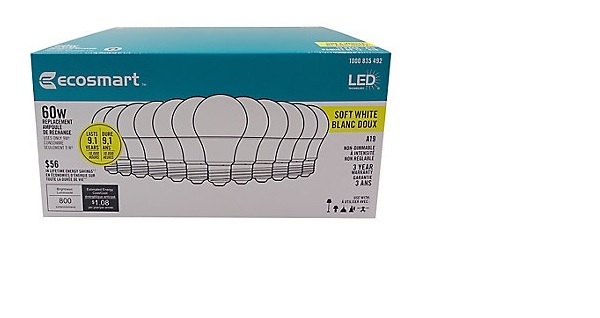 Just in time for Mother’s Day. We would also like to mention that everyone who made a contribution also added a new Helping Hand to our Third Tree Of Hope which we wish to complete by December 2017! 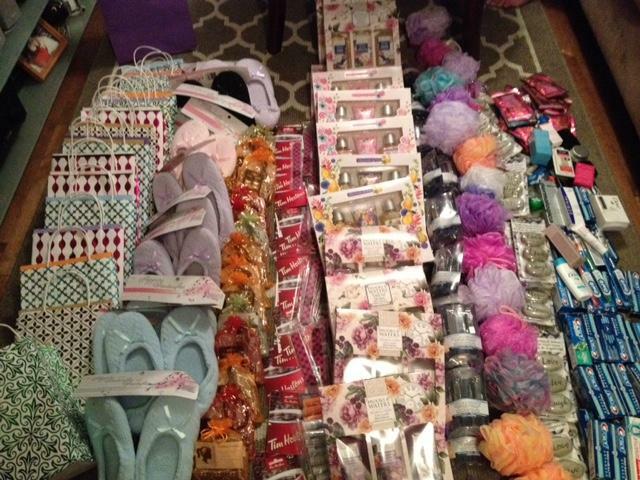 Photo: Over 250 items were donated and put into these very special gifts bags to help women in shelters just in time for Mother’s Day! Watch Our Videos To Learn How We Made A Difference in 2016! Photo: “It’s a wonderful feeling to be able help our communities along with the help of so many other beautiful people and these inspiring words keep us moving forward! 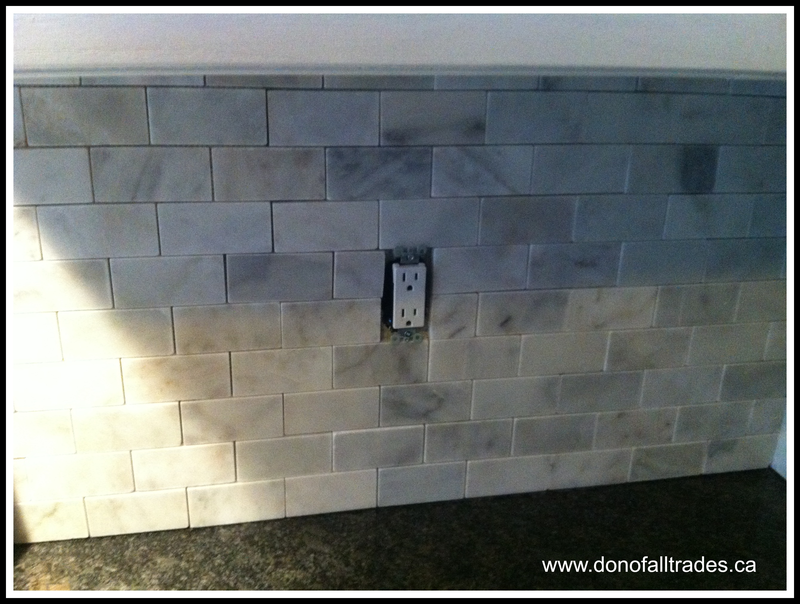 Thank you Herizon House.” Don D’Orazio, Founder at Don of all Trades Professional Home Maintenance Services. 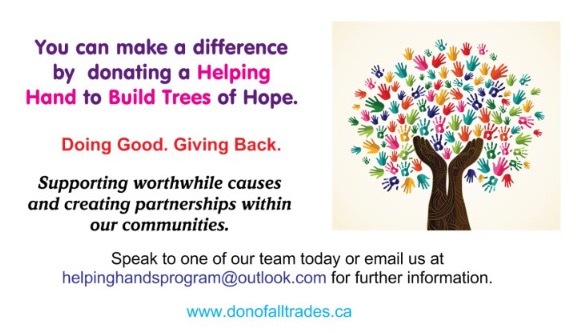 Our team here at Don of all Trades Professional Home Maintenance Services are very proud to announce that 2017 has been a remarkable year of Giving Back through our Helping Hands Building Trees of Hope Program so far with over 397 donated items from our Donation-Wish-List have been received by so many wonderful friends, clients, family and local businesses from all over benefiting the women and their children at Herizon House Women’s Shelter. We look forward to working together to make a difference in our communities one Helping Hand at a time! 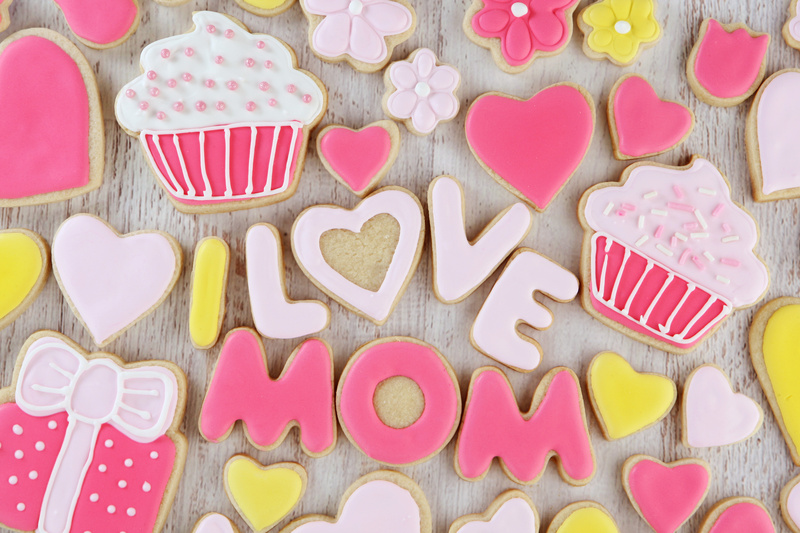 On Mother’s Day, we celebrate our mothers, the woman like no other. She gave us life, nurtured us, taught us, dressed us, fought for us, held us, shouted at us, kissed us, but most importantly loved us unconditionally. In the middle of all the celebrations, it’s important to remember that so many mothers will spend this special day experiencing abuse or taking refuge in shelters. On any given night in Canada, 3,491 women and their 2,724 children are forced to sleep in an emergency shelter to escape domestic violence. Every night, about 300 women and their children are turned away because the shelters are full. Violence against mothers impacts children too. 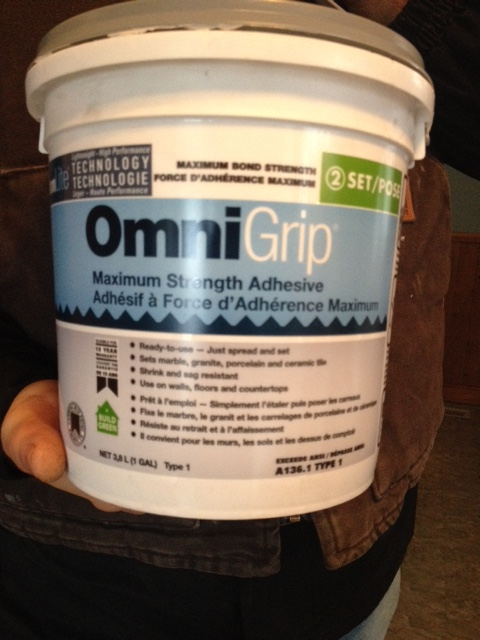 The effects are persistent and far- reaching. Children who witness domestic abuse can experience learning challenges as well as behavioral and mental health issues that can extend long into adulthood. Studies show that these children can be more likely to repeat the cycle, growing up to become victims or abusers themselves. 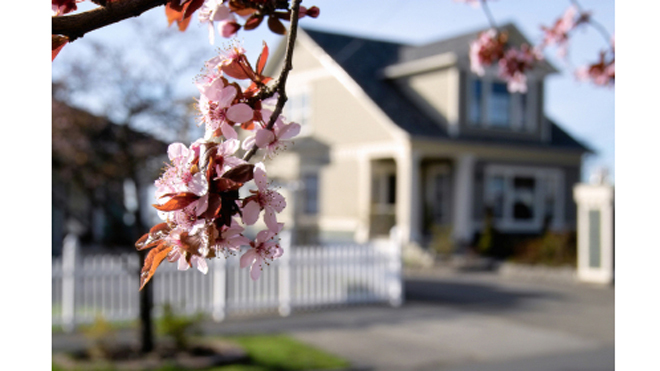 This Mother’s Day, we can reconnect our love for our moms and our respect for all women by joining or replicating a program initiated by the Don of All Trades Professional Home Maintenance Services of Durham Region. 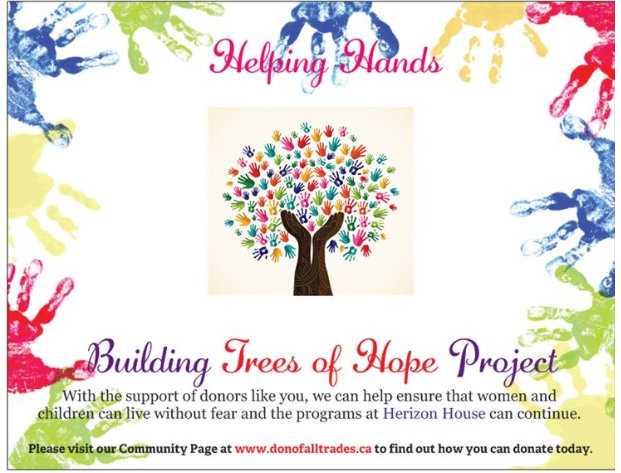 Our team runs “The Helping Hands Building Trees of Hope Project” a program that we created that turns donations into supports for women in abusive relationships through the wonderful efforts of Herizon House Women’s Shelter. 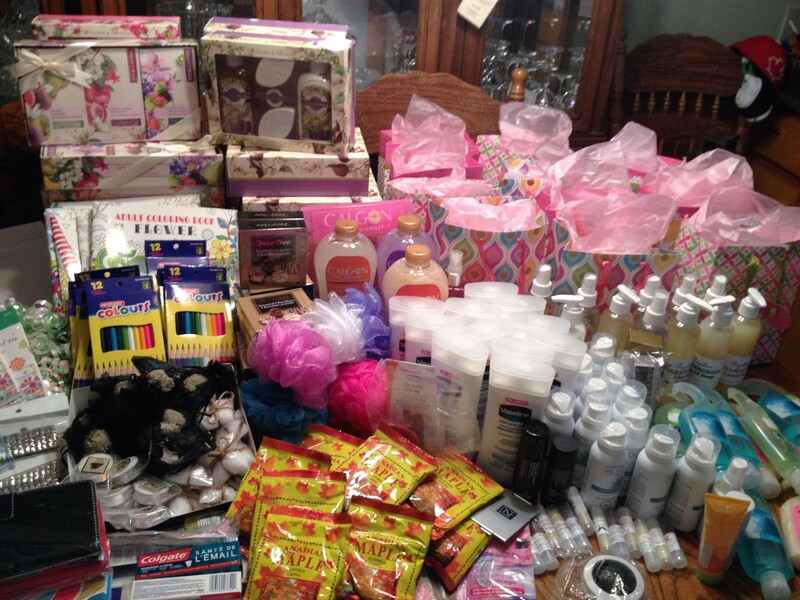 Mother’s Day Gifts Brighten Holiday For Women In Shelters! 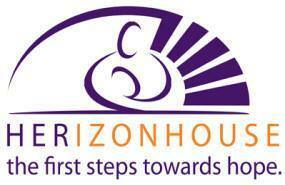 We reached out to the community once again for their support and asked for their assistance to help us celebrate Mother’s Day on Sunday May 14, 2017 by donating items along with our own to put together in special gift bags that would be donated to the women at Herizon House Women’s Shelter. 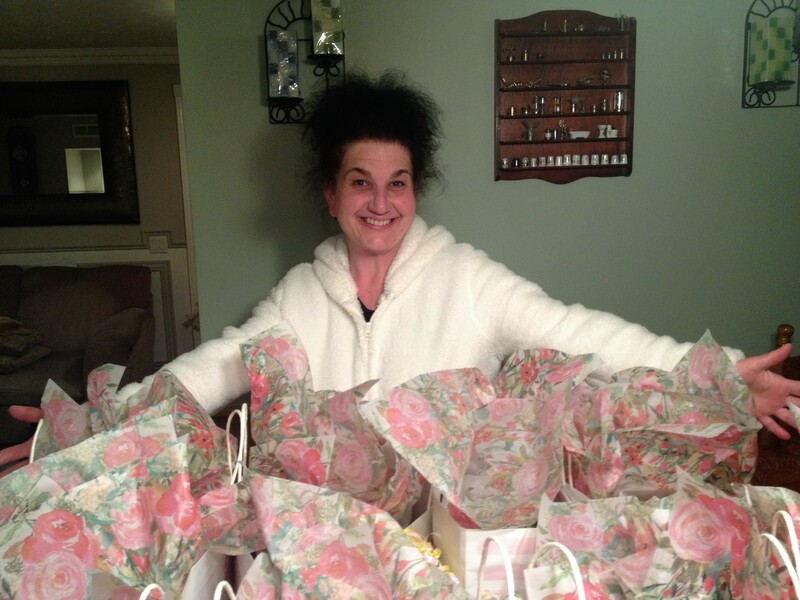 A total of 11 Mother’s Day Gift Bags would be donated with the help of some wonderful angels who gave from their heart. Special items that were donated to add to these very special and meaningful gift bags ranged from journals, adult coloring books, pencil crayons, chocolates, mini manicure sets, Loofah, Timmy’s Cards, wrap, bows, gift bags, hand creams, jewelry, bath salts, body care products, hand soaps, candles and coffee. 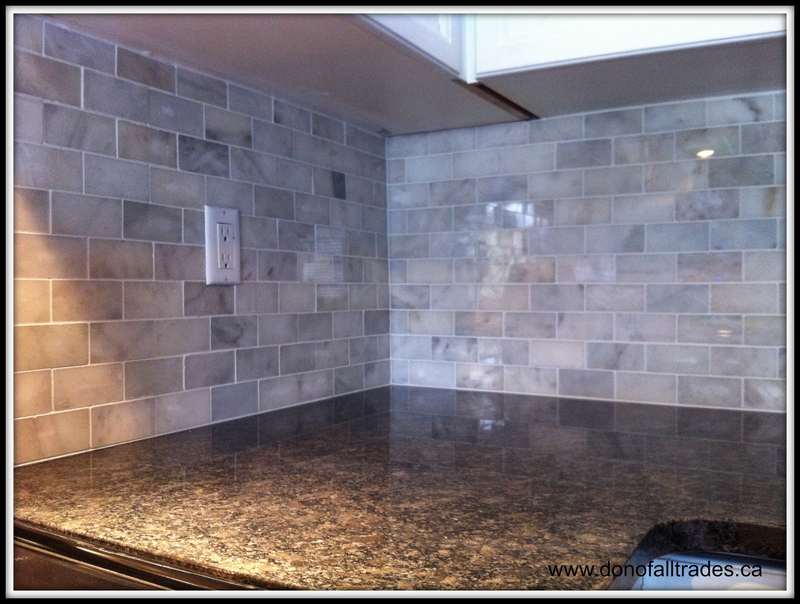 Our collection deadline started April 3-May 7, 2017. 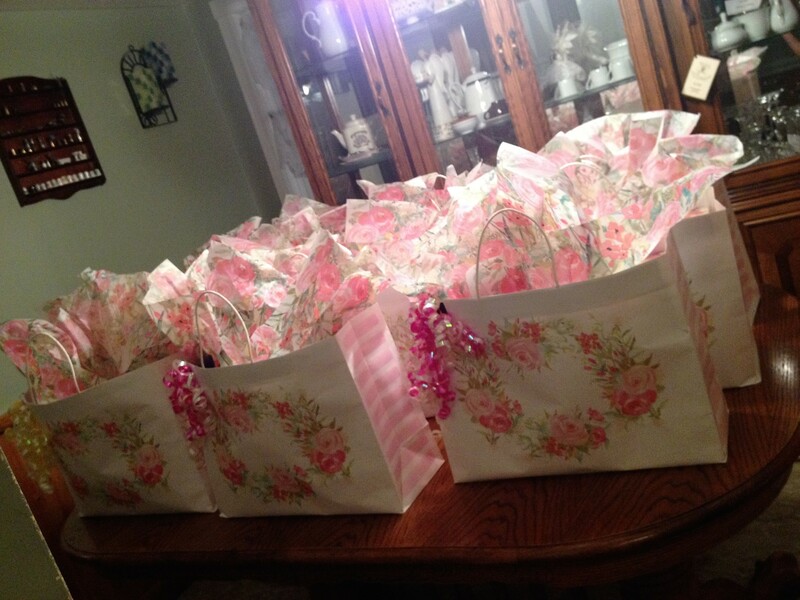 All gift bags were donated on Wednesday 10, just in time for Mother’s Day. We would also like to mention that everyone who made a contribution also added a new Helping Hand to our Third Tree Of Hope which we wish to complete by December 2017!